Donna S. Moore-Ede Ph.D., M.Ed. So I have now written the book I needed to read so long ago. I wish you well as you, too, begin your own journey. I send my love and prayers to all my fellow journeymen. I hope our paths cross, and that someday I get to meet you. Donna S. Moore-Ede Ph.D., M.Ed. works with clients in the United States and internationally who are seeking to live out to the fullest the calling on their lives. They range from Fortune 500 CEOs to college students, from Formula One race car drivers to the heirs to some of America’s greatest fortunes, from technology entrepreneurs, and owners of family businesses, to pastors and their wives and single mothers. 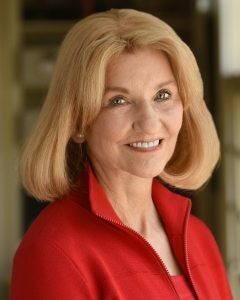 Her deep insights into spiritual, emotional and intellectual maturity, and what the ancient Greeks and early Christians called “Sophrosune” — the greatest of all virtues — a life that is in harmony with itself and lived out from its deepest solid core of self-knowledge and personal truth, have evolved over 30 years of individual, family and business counseling. Dr. Moore-Ede has a Ph.D. in Psychology from Union Graduate School, a M.Ed. in Marriage and Family Therapy from Lesley University, a Diploma in Group Psychotherapy from the Northeastern Society for Group Psychotherapy, and she is a member of the American Psychological Association. As President of Preston Champness Associates, Inc, she has devoted her career to helping people apply the principles of Sophrosune to achieving personal fulfillment in their personal and professional lives. She is married to Martin Moore-Ede, M.D., Ph.D., a former professor of physiology at Harvard Medical School, and Chairman of CIRCADIAN®, an international consulting firm, and CEO of CIRCADIAN® Light, bringing healthy and safe light which avoids the health risks of LED lights. They live in Massachusetts and in England and have two children.